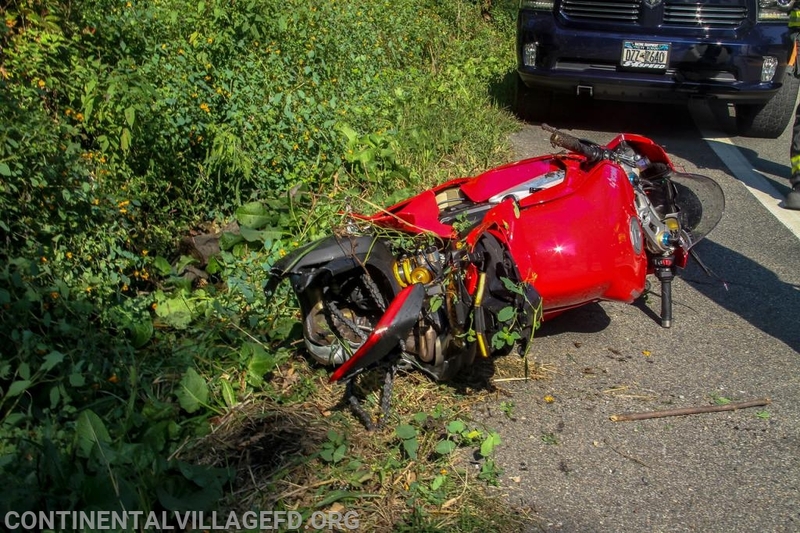 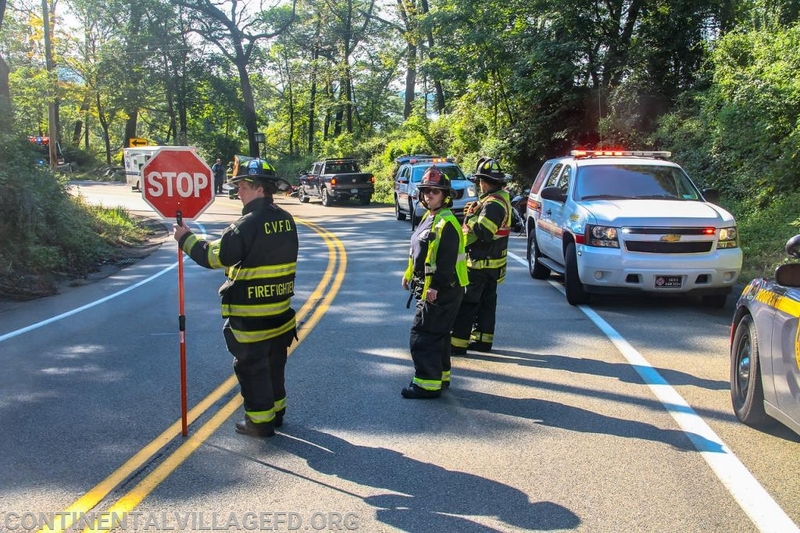 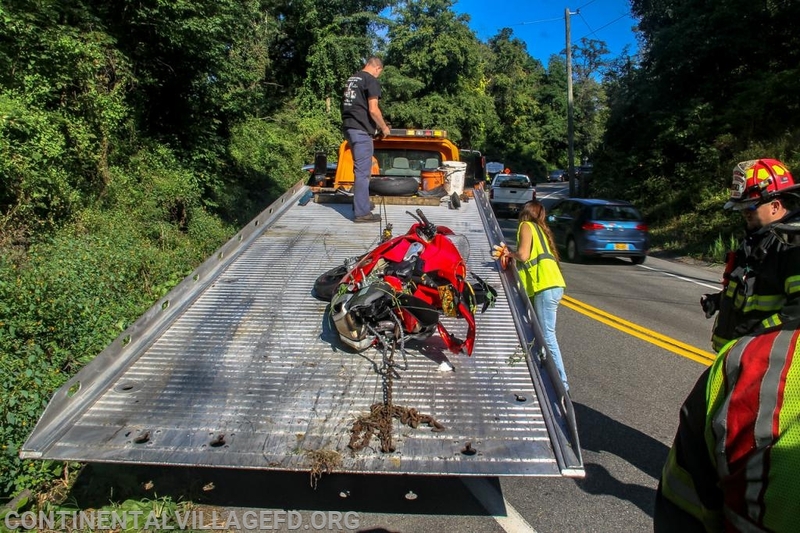 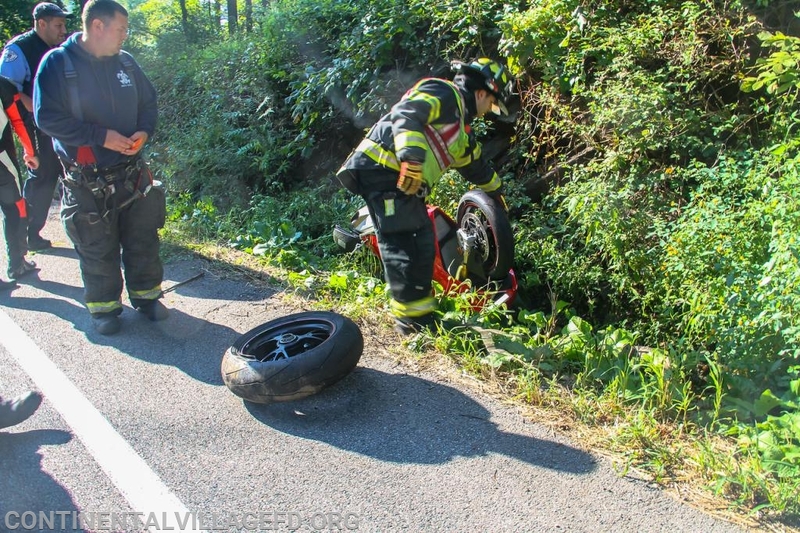 On Sunday Morning the Continental Village FD along with Peekskill Ambulance and Cortlandt Medics were dispatched to the Bear Mountain Bridge Road for a reported Motorcycle MVA with injuries. 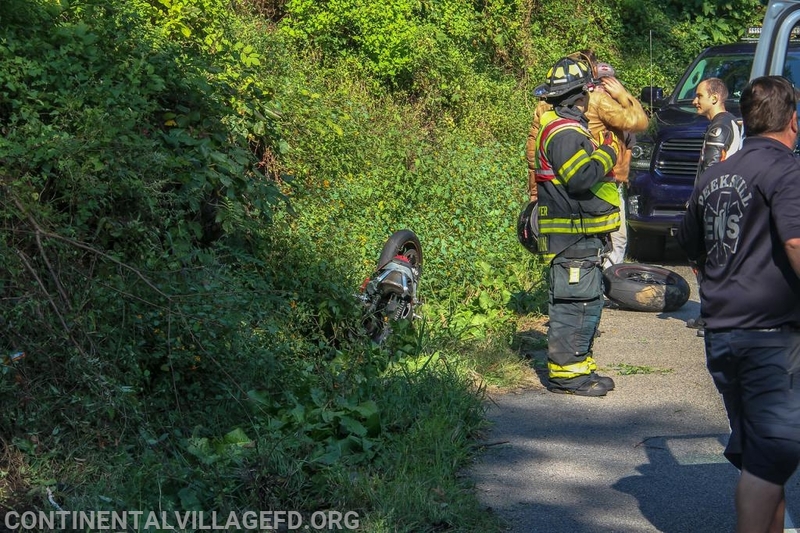 Upon arrival units found a Motorcycle off the road in a ditch leaking fuel. 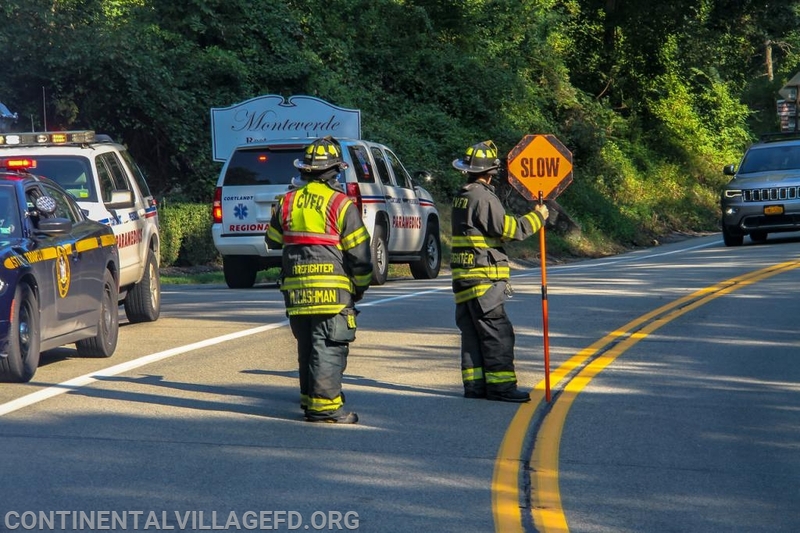 Fire units contained the leak and directed traffic while EMS treated the operator. 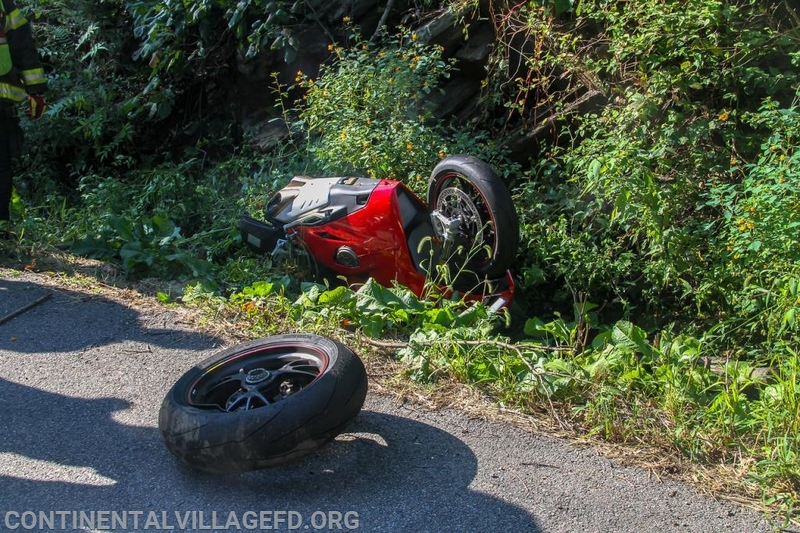 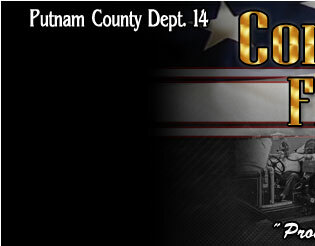 FD units remained on scene until the motorcycle was removed from the scene.